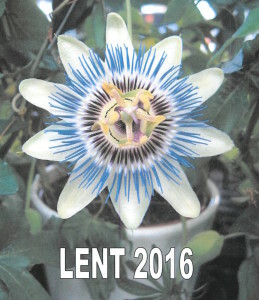 Great Lent doesn’t begin until March 14 this year. And Pascha doesn’t arrive until May 1. 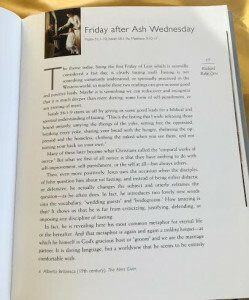 Wait… didn’t we just have Ash Wednesday? This is how Jesus understands fasting, fasting from our prejudices, our superiority, and our ethnic divisions…. Jesus is inviting humanity to a common celebration at which all are invited, and the only fasting needed is from our fears and divisions. The Orthodox Church has very specific rules for fasting, not only during Great Lent and the Nativity Fast, but all throughout the year, especially on Wednesdays and Fridays. If you’ve read my blog for very long you know that I have always struggled with this practice. During this past Nativity Fast, I agreed (with our new assistant pastor) to try it on a limited scale, and I did, perhaps, find some benefit in humbling myself to the will of another. But I still prefer the emphasis to be on love. And giving, as my friend Ellen said. There is a place for fasting, and humans do need liturgies of lamentation in times of grief, but God does not need our fasting. Maybe we do, especially in this addictive society, but of itself it does not bring us into deeper union with God. Gracious Host, Loving Bridegroom, eternal wedding banquet God, show us when we need to fast and when we need to begin the eternal feast. Keep the party open, and help us not to close it down. Show us that the only fast we need is from ourselves, our smallness, and from our shriveled hearts. Amen. I’ve currently reading some of the writings of St. Maria of Paris for the first time this week. Your post seems to jibe with her overall point, which (as I read it) is that all of our (ascetical, ritual, aesthetic) efforts are not ends in themselves but are beneficial only in how they increase our love for God and other people. Fasting can seem like hard work for me, but it’s nothing as hard as truly getting over myself enough to love other people. The final sentence from the prayer at the end of Rohr’s essay hits home. “getting over myself enough to love other people”…. you nailed it. Thanks for reading and commenting.